Can I checkmate with this? Or do smart people play chess? I tend to gravitate towards the former claim, as I have met plenty of smart people who can't play chess, but far fewer chess players who weren't that smart. And anyone who has tried to get a foot in the door of the "Chess-in-Schools" coaching would also agree, as this is the sort of argument that carries a lot of weight with school principals. Here is an article from Lawrence Journal (Kansas, USA) which lays out some of the benefits for the local school kids. Probably the most important point in the article isn't the intellectual benefit that chess gives, but the social benefit. So not only does chess make you smart, it also makes you friends! This story has been around for a week or two, although it is nothing more than the usual "I would like to see ..." chess/olympics story. However the new twist in this case is that it is being pushed by a national Olympic Committee (or its President), and a pretty big one at that. Russian Deputy Prime Minister Alexander Zhukov, clearly has enough clout to at least bring the proposal to the IOC table (in his role as President of the Russian National Olympic Committee), but as usual, it is doubtful it would get much further than that. Apart from the usual "Is chess a sport?" debate, there is the "too many sports in the Olympics" arguments as well. And while this proposal at least avoids the baggage of "hanger-ons" like Bridge, Scrabble or Ballroom Dancing, I'm sure that any indication that Chess may get in would quickly see cries of "What about us?" from these activities. It is this scenario, more than anything else, that would probably be the biggest obstacle to chess becoming a participation sport. Having shown a game last week where I was cleaned up at Street Chess, it is only fair (at least to me) where I managed to win a 'one-off' game this week. 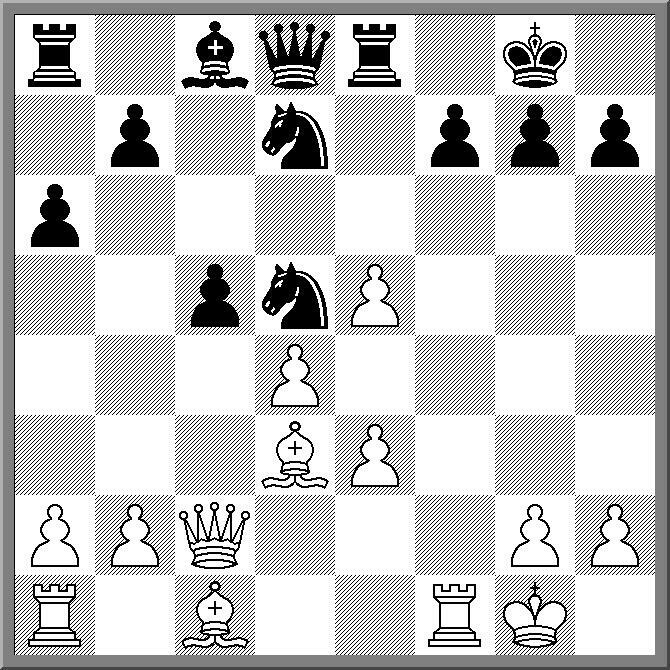 Borrowing liberally from Bobby Fischer, I chose 6.Bc4 against the Najdorf. 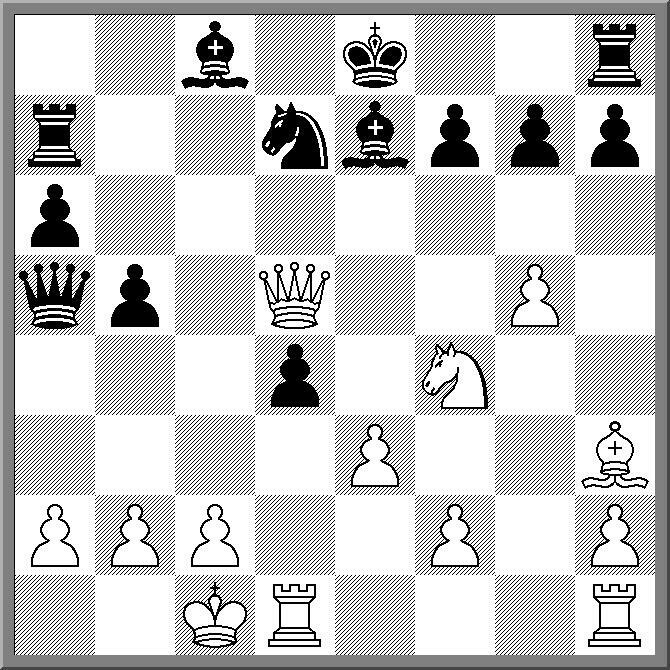 Of course his usual recipe was to preserve this Bishop, play f4-f5 and then mate black. I was not able to do this, but only because I had a more 'positional' plan. 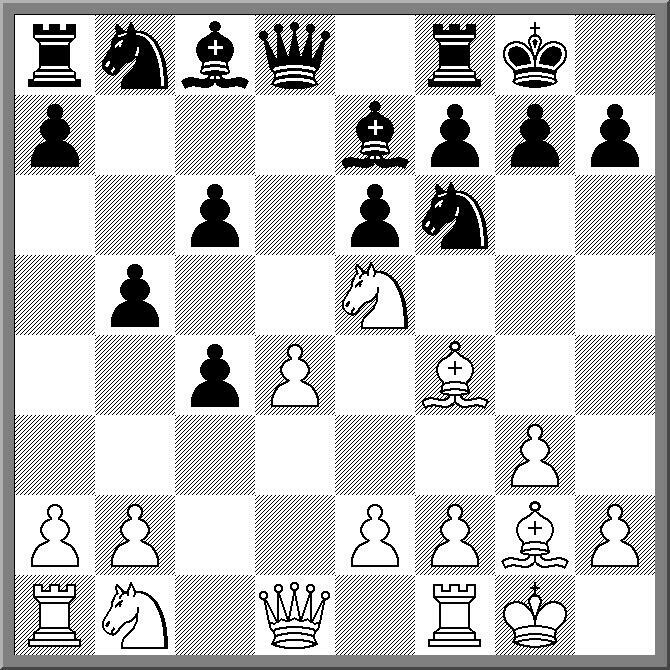 As the pieces came off, the control of d5, and the pressure on the backward d pawn became more pronounced. And as Fischer said in My 60 Memorable Games, "tactics flow from a positionally superior game". My only regret was not getting to play Qf3 on move 29 (as I realised it is refuted by 29. ... Qc5+) and then not realising I could safely play it on move 31.
d3 in the Italian Game is one move I really don't like seeing, for two reasons. Firstly, as a Traxler player, 4.d3 (after 1.e4 e5 2.Nf3 Nc6 3.Bc4 Nf6) looks like a cop-out by White, and secondly, after 4.d3 I've had a couple of games where I've just been ground down. 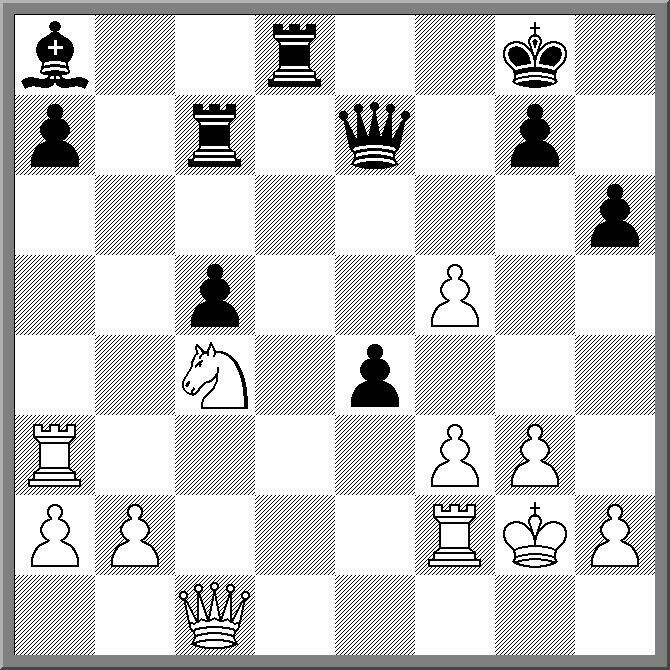 However it is considered quite a strong system for White, so there are good reasons to play it. And despite the tag "Quiet Italian" White can whip up quite a strong attack, as Movsesian demonstrates in the current ACP Rapid Knock Out event. I recently bought Artur Yusupov's "Build up your Chess" series, both as a resource for when I coach, and as training material for myself. One chapter (from volume 1) is titled "Centralizing the Pieces" and covers the importance of having strongly posted pieces in the middle of the board. 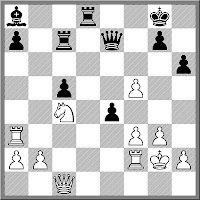 The example game he gives in the chapter is Pillsbury v Marco 1900, which I have seen in a couple of other books as an illustration of a strong knight on e5. 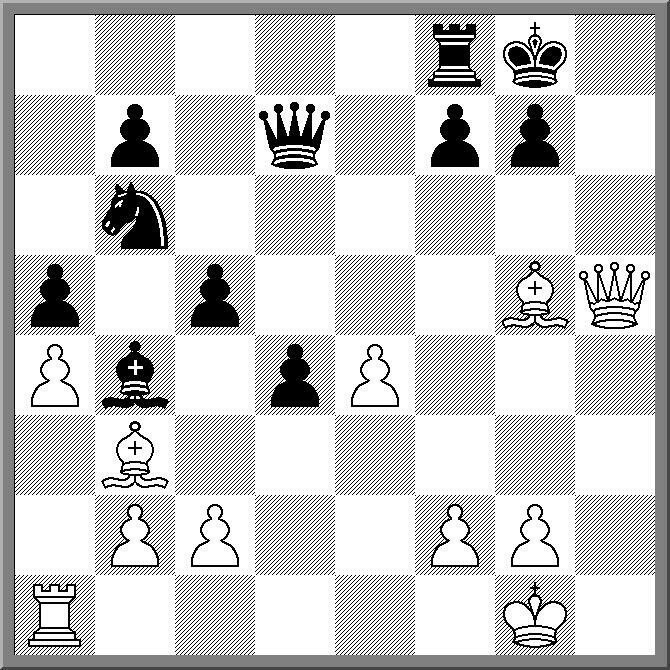 Pillsbury's treatment of the Queens Gambit often saw him play Nf3-e5 and support it with f4. 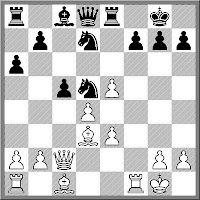 If Black exchanged the knight the White would have both a cramping pawn on e5 and an open f file to work with. Yusupov refers to this as 'posting up'. It is still a plan that can be used with great success even today, as this game played in the KL Open last month shows. An interesting game from round 5 of the current ANU Autumn Swiss Tournament. Played between two 11 year old club members, it turned into a battle of the pawns. 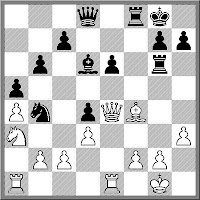 Black played the standard plan of advancing pawns on the kingside, while White expanded on the queenside. By move 20 White looked to have the upper hand, but a fear of disaster on the kingside resulted in some timid play. In fact it turned into a self fulfilling prophecy as Black was able to use a couple of spare tempi to build up that attack on the king, with a neat Queen sac deciding the issue. With the passing of Lloyd Fell there has been some discussion about who is now the "Elder Statesman" of Australian Chess (My vote is for Phil Viner btw). For the sake of gender equality, there has also been discussion about who is the "Elder Stateswomen". Evelyn Koshnitsky is the obvious choice, and one that very few would disagree with. However another name that was mentioned was Anne Purdy, widow of CJS Purdy, and still with us at 95 years of age. It has been noted that she was the daughter of one Australian Champion (Spencer Crakanthorp), the wife of another (CJS Purdy) and the mother of a third (John Purdy). And while it seems her contribution to chess is defined by the achievements of others, she was a handy player in her own right. At the start of my chess career the book "An Opening Repertoire for the Attacking Player" by Keen and Levy was a very popular opening manual. It must have sold very well, as there were plenty of copies floating around the chess circles I moved in. In fact I was still coming across players who swore by it in the early part of this century. Such books are of course quite appealing. Offering a kind of shortcut to opening success is always a good marketing strategy, so it is no wonder that books like this sell well. A similar book is "Action Chess" by CJS Purdy, which was based on a series of articles he wrote for Chess World. However this wasn't published in book form until the year 2000, and ran into the problem that most of these books do. By anchoring your opening choices to a specific set of lines researched at a specific time you run the risk of having opponents finding outright refutations. And not in the same way as Anand v Topalov, but in the "oh that line was refuted in 1983" kind of way. That is not to say such books are worthless, but as the editors of "Action Chess" realised, it is probably a good idea to add your own notes to anything more than 10 years old. Not only does it help you avoid any real disasters, but it may even teach you some good research skills. I'm pretty sure the 2010 US Championship is nearing an end, but I am not totally sure due to a new format this year. As far as I can tell the first 7 rounds were a normal 24 player swiss. Then the top 4 players qualified for a Round Robin (Quad) Final, with the remaining players continuing in the siwss, both for norm purposes and to decide the minor placings. The top 4 finishers after 7 rounds were GM's Nakamura, Kamsky, Onischuk and Shulman, each scoring 5/7. As the Final is considered a new tournament, the players can play each other again, as Nakamura and Kamsky did in the first playoff game. Now it isn't clear to me whether such a format actually works in either determining a winner, or even providing more exciting chess. In fact it reminds me a little of professional poker, in that when players are close to being 'in the money' they become conservative, hoping that other players get knocked out before they do. Certainly this seems to be the case so far, with the top 4 making the finals by drawing in round 7, and then drawing again in round 8. Full coverage of the event (last 2 rounds + playoffs if necessary) are here at the official site. The regular Saturday outdoor tournament in Canberra, Street Chess, continues to grow in numbers. The last few weeks have seen 25 or so players brave the cool Canberra weather to take part, including a visiting FM from Russia who is putting his 2350 rating to good use. Given the size of the tournament it runs a lot quicker if I confine my activities to being the Director of Play, rather than doing double duty as a player and DOP. At least that is the reason I give when people ask me why I'm not playing. Nonetheless, I do suit up when there as odd number of players, to remove the need for a bye. However it doesn't always end well for me, as in the game below! ChessToday reports that that ChessPro.ru has announced the winners of its 2009 Game of the Year competition. ChessPro had 44 experts (mainly GM's) look at 44 games, and vote for the game(s) they considered the best of 2009. The winner (with 193 points) was Karjakin v Gelfand from last years World Cup, which Gelfand won. It narrowly beat out Ivanchuk's win over Alekseev, which score 190 points. Peter Parr reports that Lloyd Fell passed way yesterday afternoon. He was 91 years old and had been one of the most active Australian players on the tournament scene from the mid-1940's up until the last couple of years. One of his notable achievements was playing in every Doeberl Cup from its inception in 1963 until 2008. Details of his funeral will be in tomorrows (Friday) Sydney Morning Herald. No, not Wives and Girlfriends, but the much more worthwhile ACT Womens and Girls Championship! This years event attracted a good field of 22 players (up 8 from last year), with 3 adult players taking on a much larger group of junior girls. This years winner was one of the adults, Alana Chibnall, who had moved from the junior ranks last year. She scored 6/6, and finished 1.5 points ahead of Jana Petorious, Megan Setiabudi and Jo Mason, who shared 2nd place. Having dropped in to spectate on the first day I was both pleased with the good turn out, and somewhat surprised at how 'chatty' the tournament was. Clearly the good natured attitude of the competitors meant that the games weren't always played in complete silence, but it seemed that no one really minded. On suggestion being looked at next year is turning the event into a full blown Womens Weekend tournament, with entries from interstate being actively encouraged. Personally I think this would be a good idea, and would help increase both the importance of the tournament, and the number of entries. The deadline for registering players for the 2010 Chess Olympiad is May 20 (ie 2 days). For the first time there is an online registration system, which fortunately makes seeing the team lists for other countries easier. However, as teams can change their compositions up until mid July, I am assuming that such lists may be considered tentative. From Oceania the following teams and players have been registered. A number of other teams have registered as well, and you can check them out by searching here. One interesting team list was England, with Michael Adams not in the team (although Gawain Jones was). Also I haven't seen any info on either a Fiji team or a Solomon Islands team as yet. Last year I wondered why the Versov System wasn't more popular at the club level. Not because of any intrinsic merit in the opening, but simply because you can find a champion for just about any off-beat opening. Well the Veresov has popped up in the current 'Max Euwe' match between Nigel Short and Anish Giri. After the first two games of their match were drawn, Short went for the 'Left handed' Ruy, and scored a surprisingly quick win. I know I've just mentioned the upcoming FIDE elections, but there have been a number of interesting developments in recent days. Firstly the Russian Chess Federation (or parts of it) have reversed a decision by its Chairman to nominate Ilyumzhinov, and have instead nominated former World Champion Anatoly Karpov. However to circumvent this the Chairman, Arkady Dvorkovich, refused to attend the meeting and attempted to hold a parallel meeting elsewhere in the same venue. The upshot it appears that both meeting may have been illegal, and who the Russian Chess Federation will officially support is now up in the air. The second important development is the announcement from Ignatius Leong that he is standing down as FIDE General Secretary at the end of his current term. Whether this is is simply a personal decision, or part of something bigger, it is too early to stay. But it does indicate that the momentum is moving in Karpov's direction. In Australia (and probably a lot of the English speaking world), the feeling is that Chess is neglected by the media and sponsors because it isn't a 'real' sport. It is considered a hobby, a pastime, or a recreational activity. And because Australia is such a 'sporting' country, the money only flows to 'real' sports (This criticism is also levelled by the Arts community towards the media and big business). In India, where chess is both considered a sport, and the number 2 sport behind cricket, you might not think a similar problem would occur. However this article from the Times of India not only says it does, but lays the blame squarely at the feet of the head of the All India Chess Federation. For not only is N Srinivasan the head of the AICF, he is also the secretary of the governing body for cricket in India, the BCCI. And while huge sums of corporate money flow into cricket in that country, the AICF does not have the finances to organise a real big event like a World Championship Match. The FIDE Grand Prix series began 2 years ago with much excitement. A series of tournaments containing most of the worlds top players looking to use it as a qualifier for the World Championship, coupled with excellent online coverage and publicity, what was not to like. However a number of organisational misfortunes (ie venues dropping out), coupled with a change of status (not quite the fast track to the World Championship), resulted in a number of players dropping out of the series. However the series has continued, albeit as a kind of Eastern European circuit, and is now limping towards a finish. The final event in the series is currently being held in Astrakhan. However I suspect the players themselves are feeling glad that is is almost over, with not a lot of decisive games on offer. After 4 rounds (28 games in total) there have been 22 draws, which puts in the Linares territory for split points. Round 3 saw all 7 games drawn, while round 4 saw 6 draws. Inarkiev was the only winner in that round, courtesy of an all to familiar Ivanchuk moment. After holding the advantage for almost the entire game, Ivanchuk forgot to keep an eye on Black's h pawn and found it had become uncatchable. So with this World Championship match out of the way, thoughts are already turning towards the next challenger for Anand. The player a lot of people would like to see playing in the next match is Magnus Carlsen*. And the player a lot of people believe will play the next match is also Magnus Carlsen. Certainly I am one of those people, assuming that the regulations for the Candidates don't cause any problems. As they currently stand it will be an 8 player knockout series, with matches of 4(!) games for the first 2 rounds and 6 games in the final. The 8 players who qualify are Kamsky (loser of the 2009 Challengers Match), Topalov (loser of the 2010 World Championship Match), Gelfand (winner of the 2009 World Cup), and the top 2 players from the current Grand Prix Series (Aronian and 1 other). Then the next 2 highest rated players (probably Carlsen and 1 other). Finally the organisers get to invite 1 player (no doubt Kramnik if he doesn't get in via rating). While the invite list looks pretty representative of the players at the top, the format of short knockouts may produce some unexpected results. I'm guessing that the reasoning behind Topalov's 32nd move in the 12th and decisive 2010 World Championship game will be debated for years to come. What drove him to play a move that looked bad, even before the computers began shouting their condemnation, and to play such a move so quickly? Was it simply a matter of "trying something that did not work" or was it one of those unfathomable brain snaps that afflict all us chess players from time to time? Whatever it was, it brought the 2010 match to a surprising and dramatic end. Conventional wisdom was that it would be a drawn match, with the rapid chess playoffs deciding the matter. On the one hand it is good that it did not have to come to that, but on the other, for the match to be decided on essentially a 1 move blunder doesn't make me feel that great either. And for all the venom directed towards the Topalov-Danialov camp, it is still hard not to feel sorry for Topalov himself. Here is the deciding game. 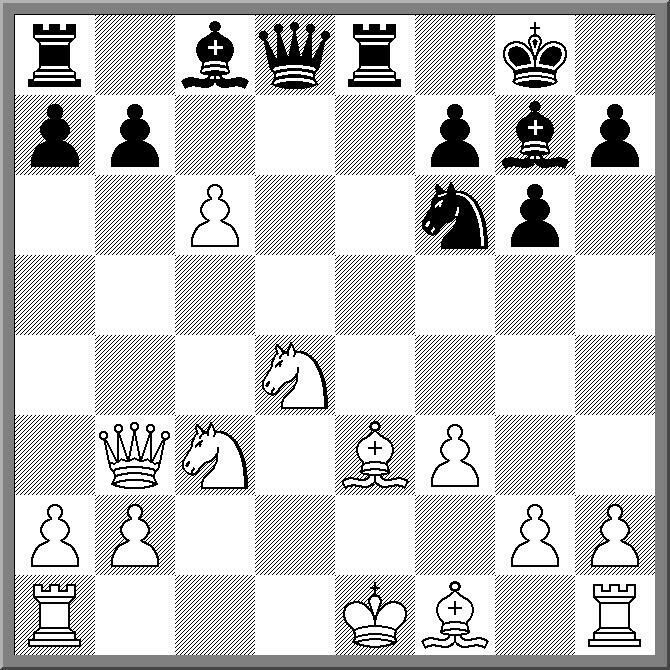 The key points are move 25, where there was a possibility of a repetition, move 29 where Anand decides to push his central pawns, and move 32, which was the decisive moment of the match. 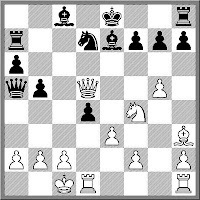 After that Anand played a number of fine moves to trap the White king, and while he may not have chosen the "best" move every time, he chose moves which moved him closer towards victory. The final game of the 2010 Anand v Topalov World Championship match is being played at the moment, although if it ends in a draw then we will see tie-breaks at a faster time control. At the moment they have reached the 25th move and Anand has the opportunity to make a 'silent' draw offer by allowing Topalov to repeat the position. The fact that they are going into the final game in a position where a draw may suit both players says to me that a 12 game match is far too short. I have always been a fan of the 24 game match, and none of the recent 12 game matches have changed my opinion. Apart from simply providing more chess I feel the longer matches provide a greater chance of a decisive result. At the moment neither player has to dig too deep into their opening prep, meaning a couple of solid systems is all that is required to at least split the match. Compare the narrow choice of openings in the more recent matches with the fact that Fischer v Spassky saw 8 different opening systems played over 21 games. With 11 out of the 12 games in this match starting with d4 the only really surprising opening choice was Anand's adoption of the Grunfeld. Otherwise it was a lot of what had been seen previously, with a similar kind of predictability on the scoreboard. Of course longer matches are unlikely to return, for financial reasons, but it would be nice to see a match where the players didn't just play for "two" results. *As I reached the end of this post Anand made the 'silent' offer, but Topalov declined to repeat the position. I suspect my fellow *Canberra* chess blogger, David Smerdon, hasn't yet got the hang of the 'Canberra thing'. On the one hand he appreciates the beauty of living in the nations capital, but on the other, he still views it through the eyes of an outsider. This is not an uncommon attitude amongst recent arrivals to the city, as the rationalisation is that their only here for work/study and will soon be gone to fairer climes. This attitude persists until the moment they wake up one morning, and realise they always wanted to live here, they just hadn't known it until now. And when you live in Canberra you get to see things that make the city different. I don't mean the lack of traffic jams, the wonderful flora and fauna, or the generally excellent winter weather. Instead the odd things when Canberra sub-cultures collide. Last Saturday Street Chess (played under the trees in City Walk) began surrounded by an enormous number of motorcycle riders. It turned out that the annual Bikie charity run was scheduled to finish just as Street Chess was starting. It also turned out that a pillow fight (yes you read right) was also scheduled to be held at the exact time and place that the charity run was finishing. Now if I was planning to hold a *pillow fight*, doing it in the middle of a large group of bikies would not have been my preferred option. But to their credit, the organisers stuck to their guns and at the appointed time, 100 or so people came streaming from everywhere, and began to lay into each other with previously hidden pillows. With the bikies, the police, and the general public staring in amazement, this went on for about 90 seconds. Then as quickly as it started it ended, and within another 30 seconds the pillow fighting crowd had completely disappeared. The worlds oldest grandmaster, Andor Lilienthal, has passed away at the age of 99. He was also the last surviving member of the first group of players who were awarded the Grandmaster title by FIDE in 1950. His active chess career was between 1930 and 1977 but even in retirement he maintained a strong interest in the game, including attending the 2006 Chess Olympiad in Turin (where I met him at a reception). A number of blogs and websites are covering his career, including this obituary at Chessvibes. 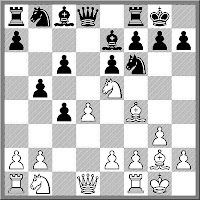 Here is a historic game from the 1993 Olympiad, where Lilienthal, representing Hungary, defeated the famous artist and chess player Marcel Duchamp, playing for France. I spent yesterday running an interschools chess competition for 130 children. While some kids had played competition chess before, a majority had not. This necessitated a brief explanation of some of the more important chess rules (touch move, winning on time etc). Probably the trickiest section is explaining what is an isn't a drawn position. 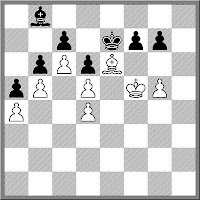 King v King is easy, and King and single minor piece usually makes sense (although in at least one game the player with a bishop was certainly making an effort to win). 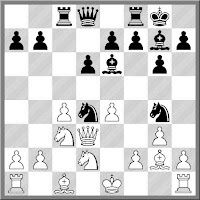 However King+2 Knights v King occasionally provokes discussion, as although the mate isn't forced, it can still happen. And of course once you add extra pieces, then anything can happen (and in schools chess, often does). 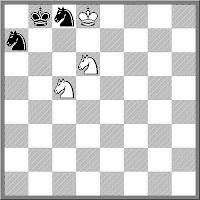 For example, if it was 2 knights versus 2 knights, I would suggest the players play on, especially if they reached the following position (which is actually a problem by FJ Prokop, 1929). White has a mate in 4, and in most lines, doesn't even need both knights! Having posted a couple of days ago about how both players were 'digging in' in the Topalov v Anand World Championship Match, Topalov immediately turned around and won Game 8. In fact when I was typing that post, Game 8 was in progress and Topalov already had an advantage in the middle game. 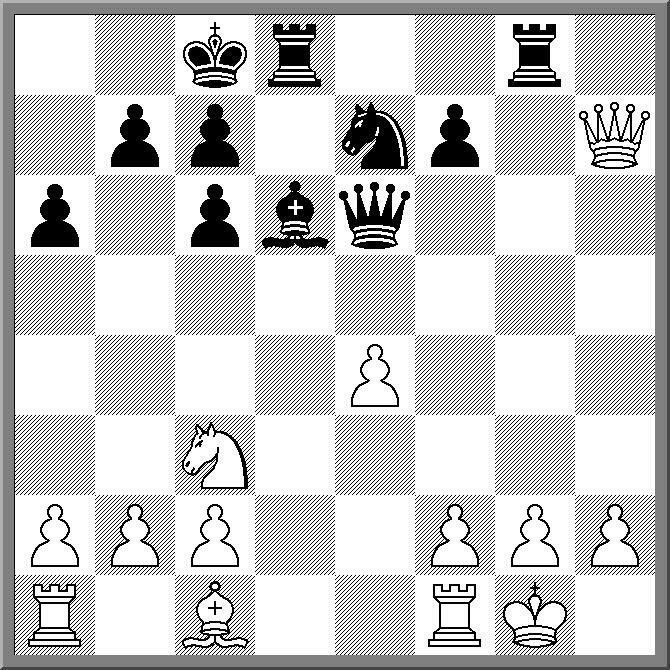 Nonetheless the decisive mistake for Anand did not come until move 54, and he resigned 2 moves later. At the post game press conference Anand indicated he wasn't happy with how he had played the game leading up to that move, and I wonder whether his blunder was a function having already written off the game. 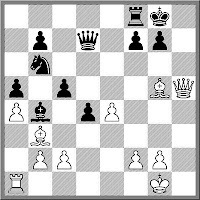 After a rest day the players played Game 9, and eventually a complicated 2RvQ game ended in a draw. Although it appears that Anand missed a winning continuation late in the game, I'll resist the "OMG Anand misses Win" type exclamations, as such claims from armchair critics seem somewhat juvenile in an age where everyone has GM strength computer programs running in the background. With 2010 being an election year for FIDE it was only a matter of time before campaigning began. An yet, when it did, it did so in a very weird way. A number of newspapers have suddenly discovered the "Kirsan meets Aliens" story. However this story has been public for at least 4 years, as in the 2006 election campaign in Turin, Kirsan Ilyumzhinov was distributing a campaign booklet of his life, where this story was prominently featured this story. But while Kirsan thought this was a good tale to tell, his campaign advisors did not, and just as quickly as they appeared, the booklets disappeared (a real collectors item if you managed to hang on to one). The latest wrinkle is that the Russian President has been asked to investigate these claims, lest they impact on the security of the Russian state. Now while in the rough and tumble world of real politics such stories would have been leaked (or pushed) by Kirsan's opposition (ie Anatoly Karpov), it seems that Kirsan reopened this can of worms himself, by relating the story on a Russian television talk show. Nonetheless it can't hurt Karpov's campaign for FIDE President to have this tale front and centre. Of course Karpov isn't having it all his own way. He recently sent out a new campaign letter containing both a criticism of the way FIDE is currently run, and a claims for improving the governing body. He was immediately taken to task by FIDE Vice President Ali Nihat Yazici, who challenged Karpov to more specific in his claims about FIDE 'corruption'. Interestingly I was only aware of Karpov's letter via Yazici's rebuttal, as he sent his reply to far more people than Karpov did (and helpfully included Karpov's campaign letter in his reply). And finally, it looks like FIDE Secretary Ignatius Leong and Commercial Director Geoffrey Borg will be paying a visit to Australia, New Zealand and the South Pacific in a few weeks to discuss chess development in this neck of the woods. I'm sure the election will also be a topic of discussion while they are here. Good news for Canberra chess players, with the restart of the Belconnen Chess Club. Having suffered from falling numbers over the last few years, the once popular club (50+ members as one stage) had a short break while organising a new venue and playing night. The club will now meet on Thursday evenings, at the University of Canberra. The venue will be Clive Price Suite 2, Building 1 Level C. The best entry (and car parks) are off College Street at the southern end of campus. The first night for the reformed club is Thursday 6th May and the start time is 7:30pm. The organisers are hoping for a good first night crowd, especially given the number of ex-Belco members floating about. The last 3 games (5,6,7) in the 2010 World Championship have all ended in draws. This may be part of a deliberate strategy from both players, but for differing reasons. Due to the match regulations that give the players the same colours for games 6 & 7 (to avoid the same player always have white or black after the rest day), Anand had White in games 4,6 and 7. Therefore Topalov has scored a small victory in not falling further behind due to his preponderance of blacks. On the other hand Anand may feel pleased to hang on to his 1 game lead, knowing that each draw puts him closer to winning the match. That is not to say that a draw was the only result both players were looking for. Game 7 saw Topalov sacrifice the exchange in the opening, in return for a strong set of central pawns. This left Anand on the defensive for most of the middle game, but he eventually defused Topalov's threats. 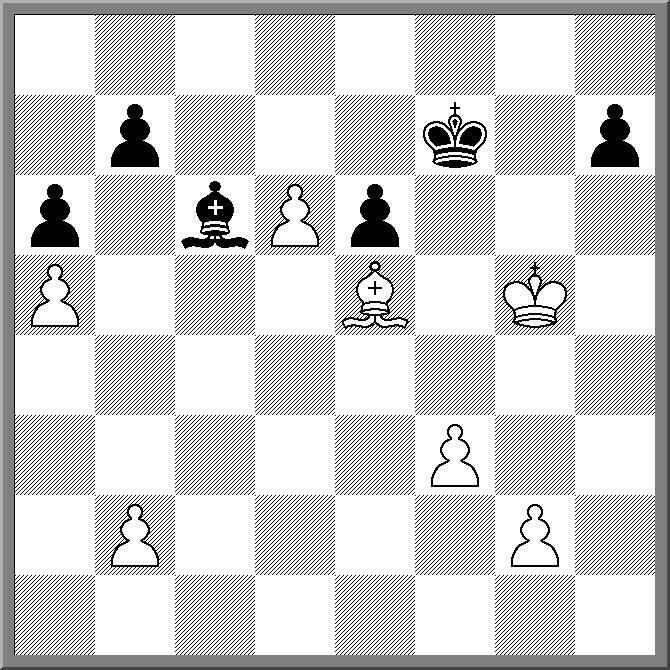 Then, just after the first time control, Anand may have played for a win, if he had found 42.Qa4. But once he missed this chance, a draw was the only result left. Former FIDE President Florencio Campomanes passed away earlier today in Baguio City, The Philippines. He was 83 years old. Although his ultimate legacy will be debated in the years to come, it is fair to say that he had both his fans an detractors. The first FIDE President from Asia, he was widely praised in Africa and Asia for making chess more accessible in the third world. Nonetheless some of the significant decisions he made as FIDE President, especially in regards the 1984 Karpov v Kasparov World Championship Match, resulted in a fire storm of criticism. More details on this breaking story here. 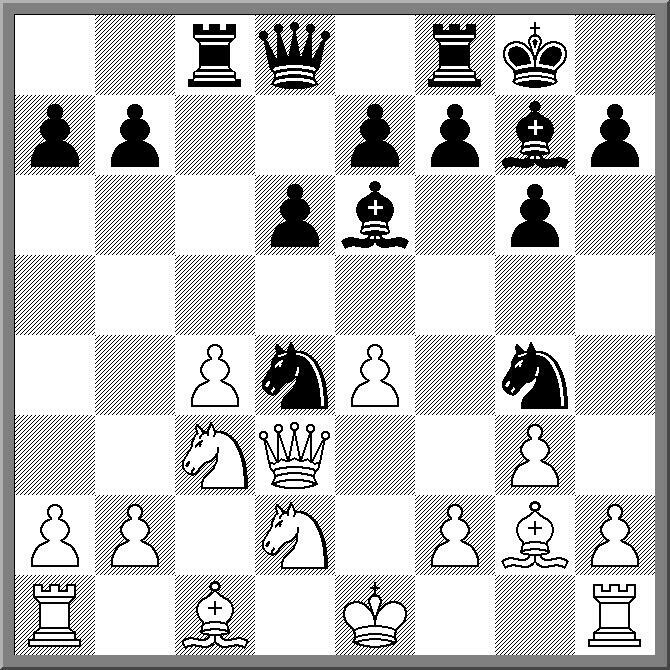 I recently read an argument by Hikaru Nakamura about why 'bullet chess' (ie 1 minute chess) is worth playing. As you can play so many games in a sitting, even if you lose a game, the result doesn't actually matter, as you're already playing the next game. Obviously this argument can be pushed up the chess time chain to blitz and even rapidplay. Play 30 games of blitz in a row and the losses aren't as important as the 1 brilliancy you played. And the knock on effect of this attitude is that you can chance your arm a little more, knowing that the refuted brilliancy's don't stack up against the ones that worked. I suspect this may have been Mikhail Tal's thinking while playing this blitz game back in 1956. On move 9 Tal (Black) sacs a pawn, and then follows it up with a piece sac. All perfectly unsound, until move 14, when his opponent misses the best (and kind of obvious) defence. Then it is just sac - sac - win. A curious finale to a game played at the ANU Chess Club last week. 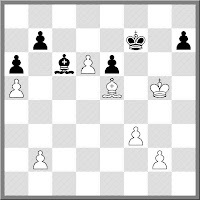 Earlier in the game White had shut the Black bishop out of the game by locking up the pawns on the queenside. But despite having a virtual extra piece he then found he couldn't break into the Black position with resorting to desperate measures. 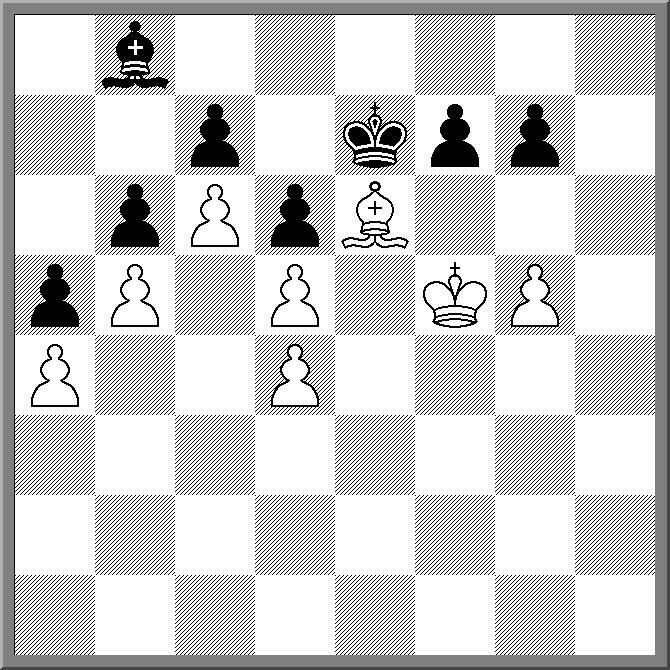 By the time I'd wondered over he had planted his bishop on e6 in the hope that Black would capture. Black, who was quite short of time, wasn't so obliging and the game ended with 1. ... g6+! 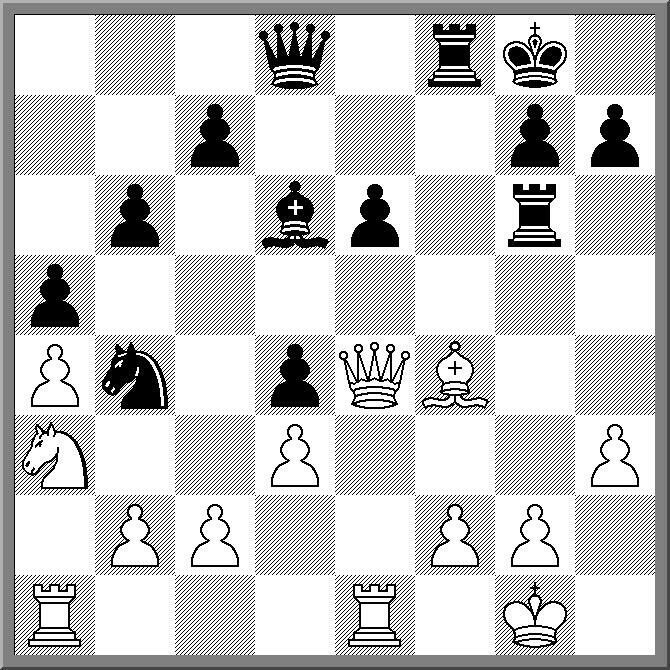 2.Ke4 fxe6 3.dxe6 Kxe6 4.d5+ Ke7. Although Black is now a piece up, is it entirely useless, and both Kings are trapped behind their own pawns. After a few perfunctory moves the players shook hands.